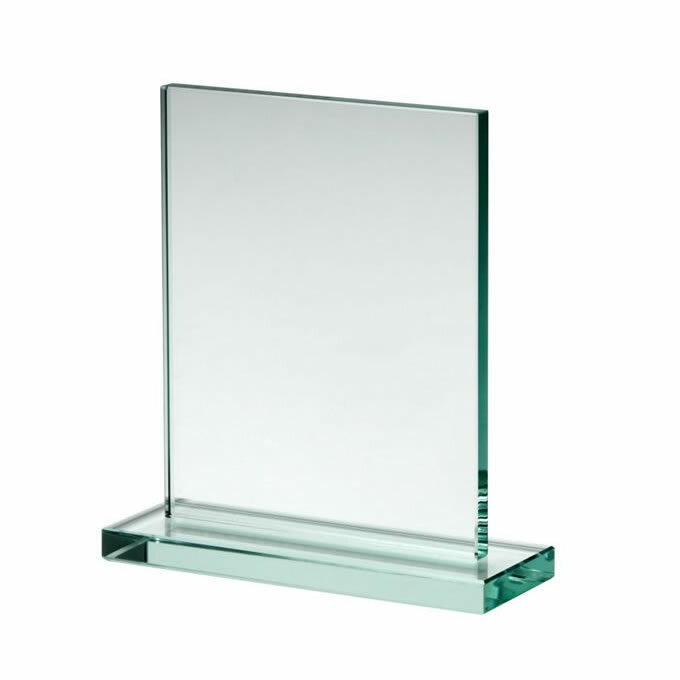 A classic flat glass plaque award in a simple, elegant rectangle shape on a matching jade crystal base. Available in three sizes, these plaques are made in 10mm thick glass, making them thinner, lighter and more inexpensive than thicker versions. 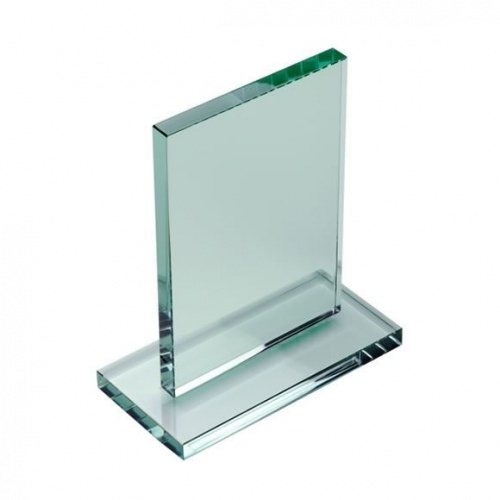 These low-cost flat plaques are supplied presentation boxed and offered with text and/or logo engraving options.